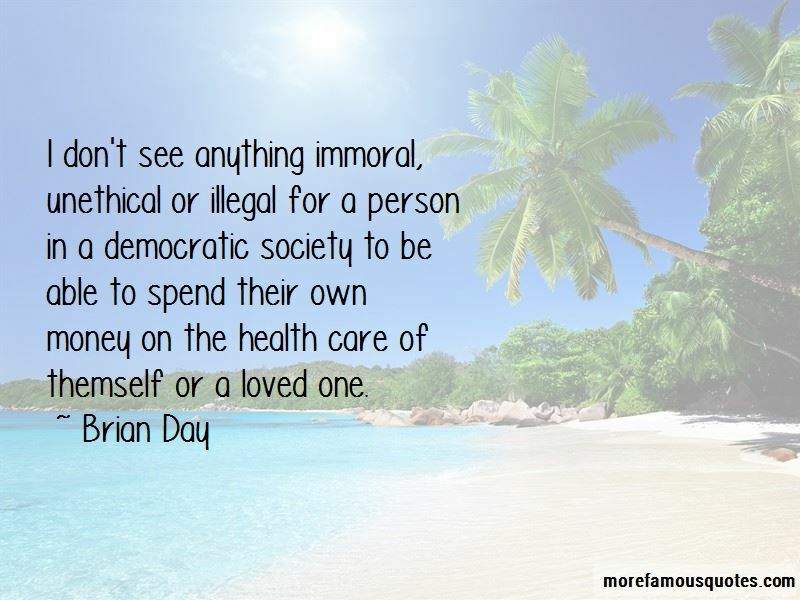 Enjoy the top 4 famous quotes, sayings and quotations by Brian Day. When it comes to physicians there is a common thread that is a major barrier to solving our concerns. We are divided. 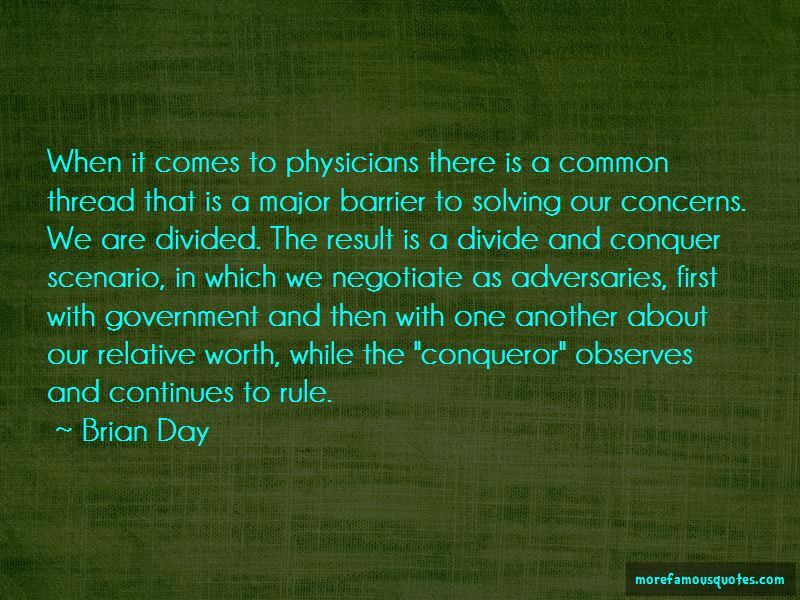 The result is a divide and conquer scenario, in which we negotiate as adversaries, first with government and then with one another about our relative worth, while the "conqueror" observes and continues to rule. 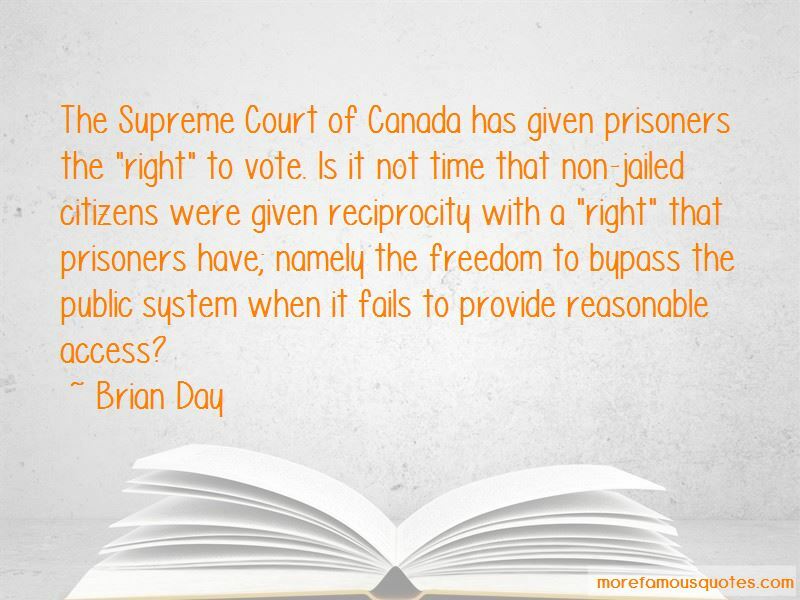 The Supreme Court of Canada has given prisoners the "right" to vote. Is it not time that non-jailed citizens were given reciprocity with a "right" that prisoners have; namely the freedom to bypass the public system when it fails to provide reasonable access? Want to see more pictures of Brian Day quotes? 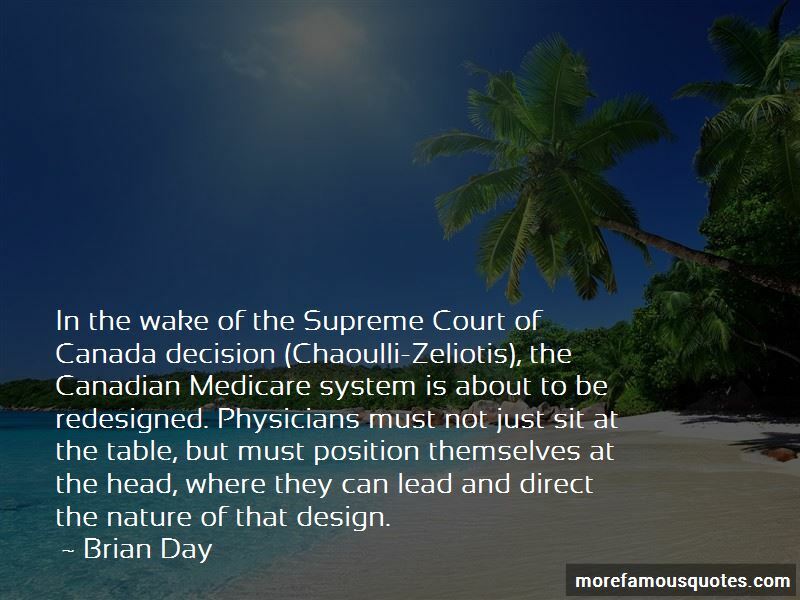 Click on image of Brian Day quotes to view full size.